Created to assist our land and resource department in the management of our extensive lake system, included is the department of natural resources identifier, water acres, perimeter length, and classification. Instead of the common blue, the lakes and rivers are colored based on their representative use class, which represents what kind of development and specific land use rules are in effect with respect to that particular body of water. The map also includes an exaggerated shaded relief map called “Terrain.” The background colors are a color representation of elevation, as used in the national geographic atlas series maps (i.e. blue indicating low elevation and red to white indicating high elevation). Otter Tail County exhibits a uniquely complex range of topographic features visible within its boundaries. This scheme allows for easy classification and identification of the various landforms visible here. The information on this website is made available as a public service. Maps and data are to be used for reference purposes only, and Otter Tail County, Minnesota, is not responsible for any inaccuracies herein contained. 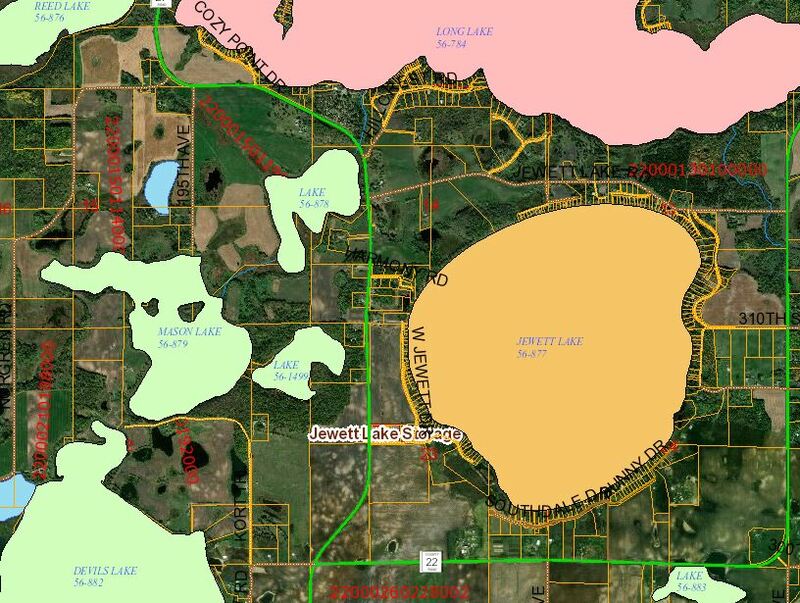 The information on cadastral maps is used to locate, identify and inventory parcels of land in Otter Tail County for reference only and is not to be construed or used as a legal description. Map information is believed to be accurate but accuracy is not guaranteed. 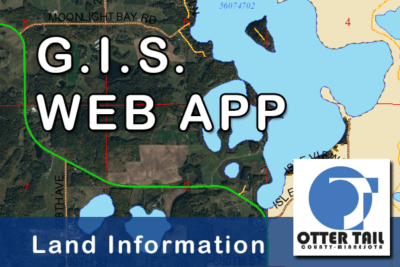 In no event will Otter Tail County be liable for any damages, including loss of data, lost profits, business interruption, loss of business information or other pecuniary loss that may arise from the use of these maps of the information they contain. No responsibility is assumed for damages or other liabilities due to the accuracy, availability, use or misuse of the information herein provided. Information on this site is in the public domain and may be copied without permission. Citation of the source is appreciated. Do not bookmark (or add to favorites) after launching this map. There is a large amount of data incorporated into this map and it may take a few minutes to build and display completely.